Will Hawaiian Airlines Survive When Southwest Starts Flying To Hawaii? Southwest are inching closer to the start of their flights to Hawaii. With a reputation for super low fares (albeit with a basic as you like service), how can a full service carrier like Hawaiian be expected to compete? 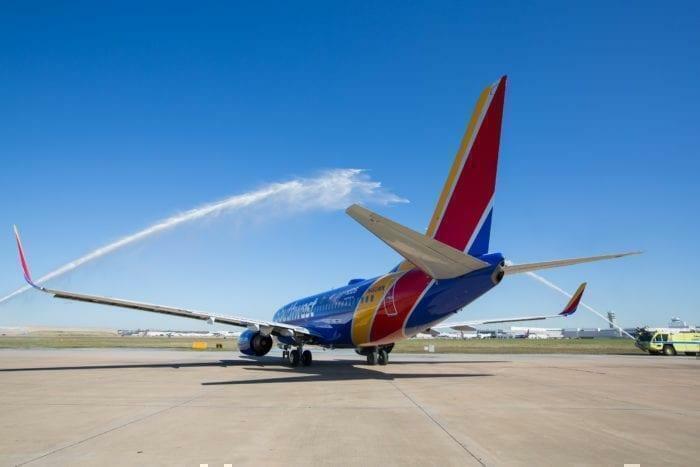 Last week, Southwest completed two validation flights to Hawaii as part of the FAA’s authorisation process. That puts them just weeks away from launching their highly anticipated Hawaii routes. As Southwest prepare for take-off to Hawaii, we’re asking; how will their entry into the market affect the local flag carrier? Can Hawaiian Airlines survive the Southwest Effect? What threats do the Southwest Hawaiian flights pose? 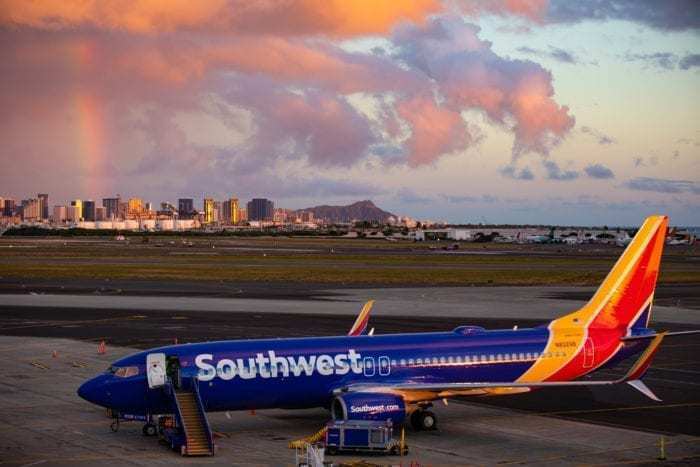 While there’s something of a crossover in terms of destinations, the product we’re expecting from Southwest on Hawaiian routes will be a completely different deal. Their typically all economy, budget offering is not in the same league as Hawaiian. 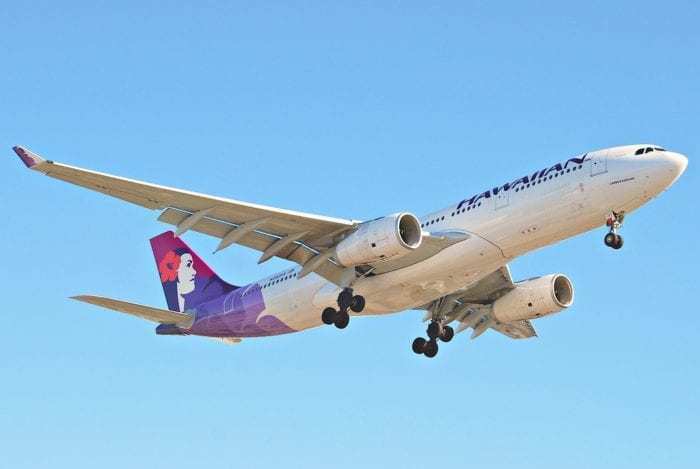 Regularly praised for their outstanding service, which includes a full meal and drink on flights to and from the islands, Hawaiian frequently tops the on-time carrier list in the US. They also boast some of the fewest cancellations, baggage handling issues and over sales problems, and as such have been rated as the best carrier serving Hawaii by Conde Nast and others. Although no details have yet been released in terms of pricing, we fully expect them to price aggressively low. It’s not yet known what their amenities will consist of, but it’s unlikely passengers will be satisfied with a packet of nuts for a six hour flight. We already know they’re launching from Californian gateways, including San Diego, Oakland, Sacramento and San Jose. They’ll be landing at Honolulu, Maui, Kona and Lihue, although timings and frequencies are yet to be announced. Southwest have also indicated they plan to start inter-island flying, which would compete directly with Hawaiian’s network. Right now, Hawaiian flies 202 flights every day between the six populated islands using a fleet of 20 Boeing 717 planes. It would be hard for Southwest to try and compete with such a slick operation, but perhaps they aren’t trying to. Indeed, from the outside looking in, Southwest’s inter-island venture appears to be more about increasing useful flying time of aircraft which have arrived from the mainland than a real shuttle service. For a start, the 737-800s and MAX’s they’re starting service with would be too large to operate at the frequency necessary for local commuters. So, is there a risk to Hawaiian Airlines? Essentially, not so much. The two services promise to be something very different from one another. However, Hawaiian are already under pressure in terms of fares, since other airlines increased service to and from the islands. Southwest’s entry is potentially over capacity, which will further put pressure on already stretched fare tiers. The biggest worry at this time is what’s known as the ‘Southwest effect’, an aviation phenomenon first observed back in 1993. It describes the considerable boost in air travel resulting from Southwest’s (or similar airline’s) entry into that market. Supply increases with lower priced fares, forcing competitors to lower their fares too. It remains to be seen whether the Hawaiian market can withstand any further squeeze on fare prices. 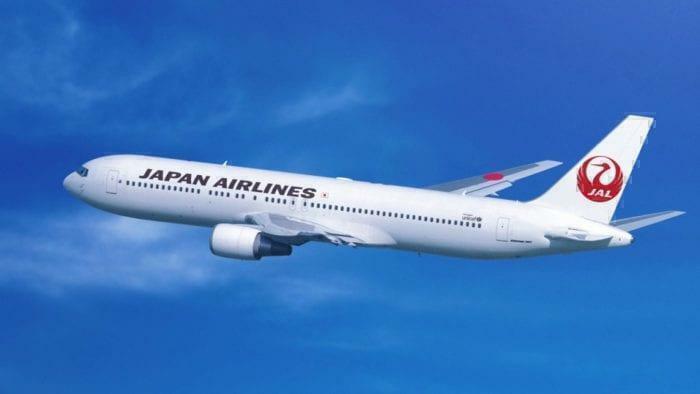 Hawaiian currently gain a great deal of business from the Asian market, something which has been enhanced by their recent Joint Venture agreement with Japan Airlines. They also codeshare with China Airlines, Korean Air, Philippine Airlines and Air China, and has 20 Dreamliners on order to service the long distance market. While this doesn’t compete directly with Southwest, it does provide much of their bread and butter earnings. Despite their relatively comfortable position, there’s no doubt Hawaiian are wary of what Southwest will bring to the mix. Amid shrinking profits, Hawaiian have taken some steps to mitigate the Southwest effect. They’ve expanded code sharing with JetBlue in a bid to snag domestic passengers from Southwest, and recently introduced a basic economy ticket level, taking return flights from the west coast to under $200. At the end of the day, no one understand the Hawaiian marketplace better than Hawaiian Airlines. Although Southwest will certainly change things somewhat, Simple Flying don’t think they’ll have any major impacts on Hawaiian’s share. What do you think? Will Southwest damage Hawaiian, or can both co-exist peacefully? So each plane flies once per day? Pretty relaxed. No, HA only has a fleet of 20 717’s. Fares to/from Honolulu, Lihue, Kahului, and Kona are already low, with frequent nonstop service on several airlines to and from many mainland cities. The only markets in which they might bring some price competition is in the interisland markets. But Hawaiian operates hubs at both Honolulu AND Kahului (O’ahu and Maui). Southwest will not be competing with those two hubs. The HAL fares are already low? Compared to what? Maybe if you compare to flying first class, they may be low, but if you compare they to low cost airlines fares,they are very, very HIGH. We had wanted to visit the Hawaiian islands with plans to fly from one island to another. However, we were SHOCKED how high the air fares were, that put us off visiting the islands altogether for the time being. We will wait till Southwest comes to Hawaii and start providing inter-island services. I hope Southwest puts a big dent in Hawaiian Airlines. Their planes are so out dated and NO wifi. Things get really boring on a 5 hour flight from LAX to Honolulu. My Hawaiian flight on January 7, 2019 was 8 hours 19 minutes delayed due to mechanical issues. It was an awful day, and they didn’t care to issue any form of refund on my 1200.00 one way ticket. I wish SWA was around then. Still not happy. Alaska has been flying into Hawaii since 2007, picking up the slack after Aloha Airlines folded in 2008. Ohana by Hawaiian Airlines flies the ATR-42s on select routes. Did this article mention of the fact on Southwest “no baggage fees” – Hawaiian charges 30 and 40 for first and second bags each way. Hawaii interisland fares are so predatory priced that there has to some form of alternative choice. Article made note of “only peanuts” on Southwest Hawaii flights … But Hawaiian breakfast/lunch meal is dog food! … Watch Hawaiian try to step up to Southwest great customer service to the islands.